Ground beef is one of those things that can really stretch a family’s grocery budget. 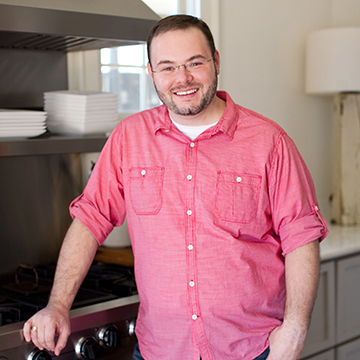 I was talking with my dear friend Christy Jordan from Southern Plate just the other day about ground beef and about how many bloggers out there don’t deal with it presumably because ground beef is somehow considered inferior. The truth is, though, that many of us (and I say us because I am totally including my family in this) use ground beef to make ends meet. It’s an inexpensive way to fed your family a wholesome meal. 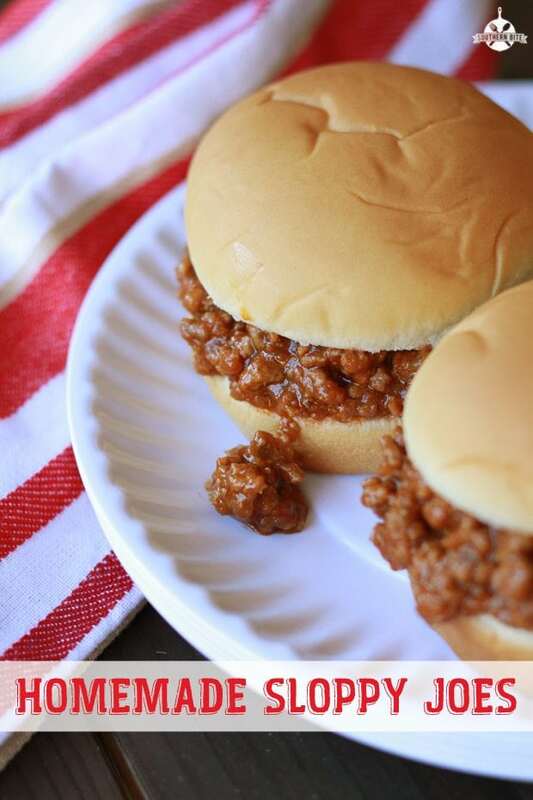 And this super easy Sloppy Joe recipe is a great alternative to the canned sauce. Even my wife, who doesn’t like Sloppy Joes, likes this. I hope you will too! 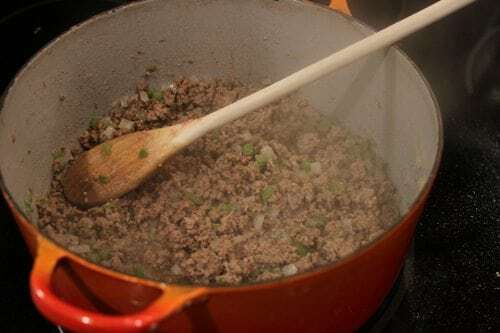 Brown onions and green peppers with ground beef over medium heat until meat is cooked through and vegetables are soft. Drain meat and return to pan. Add garlic powder, ketchup, brown sugar, mustard, vinegar, and soy sauce. Mix well and simmer for 5 to 10 minutes. Serve on soft hamburger buns. 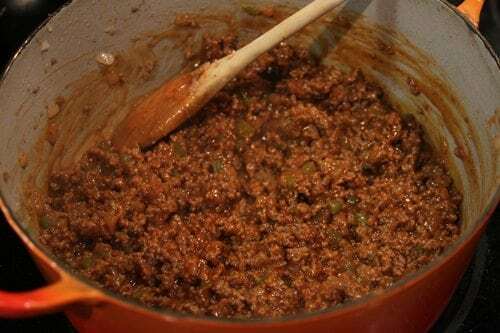 Brown onions and green peppers with ground beef over medium heat until meat is cooked through and vegetables are soft. Drain the grease away and return the meat to the pan. Over medium-low heat, add garlic powder, ketchup, brown sugar, mustard, vinegar, and soy sauce. Mix well and simmer for 5 to 10 minutes. I’ll hop up on that soapbox with you Stacey! And I’m on there about the ground beef too! Love this recipe! Sounds and looks really good …. I’ll have to try this !! Looking forward to trying this out; sounds so much better than the canned stuff, or the dry seasoning/mix with tomato paste combo (these are ok in a pinch but it’s nice to have an alternative). I agree with you 100% on your soapbox topic – – I have had to “unsubscribe” from a couple of folks’ posts because they are either too whiney or just downright obnoxious! I totally relate with you on the Facebook negativity!! I’ve gotten where I just click hide on more than I allow, I have started dropping all the people that post the negative pictures and the rude comments, I just have reached the point in my life where I don’t want to be around it anymore, I had to deal with it at work I won’t invite it into my home! Thank you for all that you do, I really enjoy your posts and blog!!! I love grd beef , I would NEVER deem it inferior. To help make ends meet even more I use Grd Turkey (and it is healthier too) I use it so much that I have gotten good at disguising it and my husband will ask if it is beef or turkey .I will definitly make this and use grd turkey. Thanks for the recipe . I did the same thing with negative pl on FB. It has gotten ridiculous with all the negative nancy’s out there. That’s why we have to pick and choose what we make available for ourselves to read. It will affect our attitudes! Looks good! My son dosn’t like sloppy joes, but I think this would be worth a try (he doesn’t like bread – I know what it wrong with this child! grins) But it sounds like a great way to “hide” ground turkey, which I have to do for my husband. I’m going to put it on my menu for next week. Bravo, Stacey! I try to stay away from negativity everywhere, not just on Facebook. One negative person can bring down a whole room full of happy people. 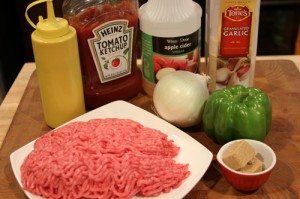 I just create a Sloppy Joe recipe using hamburger AND sausage. I took the inspiration from one of my favorite dishes that my Granny used to make for me, Hamburger and Sausage Patties. The flavor of those two ground meats together is wonderful just like it is. So I thought it would make excellent Sloppy Joes. And…..I was right! I’m taking those to one of our Halloween parties this year. Thanks again for the great post, Stacey. I’m glad to see you posting again. I hope your time gave you a chance to recharge. The recipe looks great. We are on a tight budget so we use ground beef alot. It can be used so many different ways. I am so glad Christy led me to your site. Both of you are wonderful. 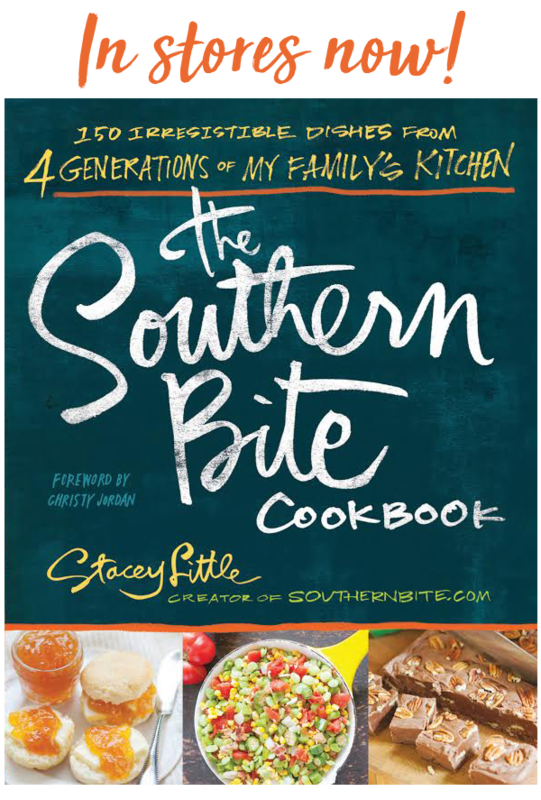 Stacey – This looks like it will be the star of our dinner menu tonight . . . 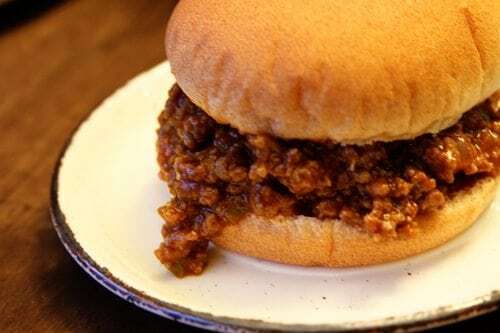 I love Sloppy Joes but am not fond of the salt content in so many of the mixes out there. Thanks for posting this . . . oh and by the way kudos for filtering your “negative” facebook feed. . . I for one do not need any extra drama or negativity in my life . . . I’ve been “editing” my content for several months! Just made this. It is a “keeper”! Stacey, next time try adding chopped celery to the mix, you won’t regret it! First time ever making homemade Sloppy Joe! Thank you for this post! I’m simmering everything now and waiting for it to finish! It smells DELICIOUS! Most definitely bookmarking this recipe! Awesome, Larry! I hope they tasted as good as they smelled!! This recipe is fabulous! I’ve always been indifferent about Sloppy Joes, but not anymore. I crave these over and over. In a houseful of picky eaters I have kids begging for seconds and asking me to reheat the leftovers. I’m making them again tomorrow for a quick and easy 4 th of July meal! Gotta double the recipe. Also, it freezes well so I will definitely make large batches and freeze leftovers. Yummy! Thanks so much, Greer! I’m so happy to know that your family enjoys these as much as we do. I know they take little bit more time than opening a can of that other stuff, but I sure think it makes a difference. Thanks for taking the time to let me know!! I’m with you on the fb negativity. I have done that for quite some time and don’t feel bad at all about hiding some folks’ status updates. What I shake my head over are the ones who complain about fb on fb – come on now, it’s free and totally voluntary to be use it. Your recipe for sloppy joes is very much like mine except I put in chopped celery instead of green pepper. I’ve used this recipe when I’ve had casual parties to feed a crowd and everybody loves them. I think it’s a nostalgic feeling for favorite childhood food. I hear ya loud and clear, Valorie! Thanks so much, Robin! So glad you liked it! 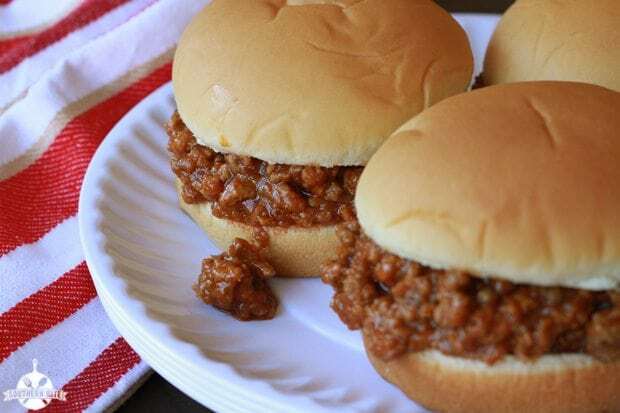 You know, I have tried so many recipes for sloppy joes looking for one that tasted like how my mama would make it, and I have finally found one here. Thank you! I’ve made this several times now and we love it! I’m wondering if it could be adapted for the slow cooker? That’s great, Kim! If you used some extra lean ground beef, you could probably just dump all the ingredients in the slow cooker, stir, and cook. I just ate a late lunch, but my mouth is watering for a sloppy joe now! It that saying something nice enough? This is about the way my Mother always made them, except for the green pepper. I would love that as well because I put onion and green pepper in most everything. Add a slice of sweet Vidalia onion and a couple of dill pickle slices on a soft warm hamburger bun and you’ve got something hard to beat. Haven’t made any in a while and now you have gotten me wanting one! Stacey, made these tonight! Delicious! Awesome! So glad you enjoyed them!! Sounds good, like lots of stuff in mine. This sounds and looks so yummy. I think I will make this tomorrow. Can’t wait. Thanks for the recipe. Making this for dinner tonight; I’ve never tried making them before! I sure hope you’ll enjoy it!! I realize that I am coming in late to this posting but here I am. This recipe is the one I used to make years ago for my family but somewhere it got lost in a move. You have no idea how thrilled I am to find it again because it is scrumptious and now my grandchildren love it too. I guess fate made this pop up on my Pinterest feed! I don’t do Facebook. As a retired teacher, I prefer to stay in touch with former students when they call, write or come by my house. After the last election cycle, with all of the lies and hate, I have no interest or faith in social media. I don’t like what has happened to our country. Let’s hope it quickly gets better. Agreed! And happy to hear you are enjoying this recipe! I hide negative posts all the time, mostly political now. But on to the good stuff! This recipe is soooo good. It’s my go to from here on out. Cant stand the canned tuff, nor the packets of seasoning. This is very close to my moms. It’s devine! Thanks for sharing! I’m just so glad you enjoyed this, Linda!! A family member has to be careful with sugar and carb intake and it looks like your recipe will work for her. I plan to use a full 2# of gr. beef, so that will help even more to distribute the ingredients even more.